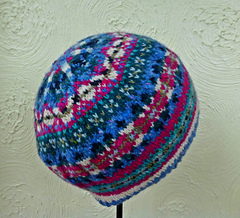 A beautiful, colourful Fair Isle Hat, knitted in the round and great for using up leftover scraps of 4 ply yarn. 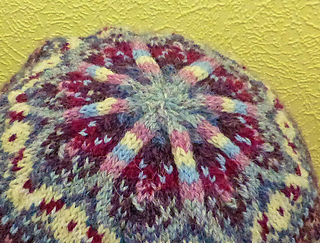 This is a one size hat suitable for the average adult head. 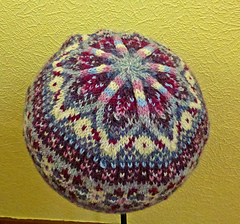 The finished hat is a slightly slouchy beanie, but could be blocked to make a tam, if preferred. 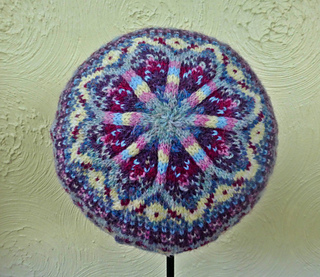 The hat is knitted in the round and incorporates stranded knitting worked from charts. 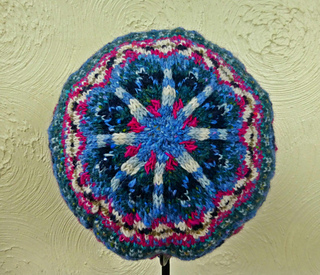 The pattern is suitable for advanced beginners / intermediate knitters. 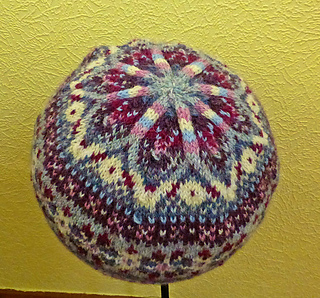 The pattern is now available in Danish here . Thanks you to Marianne for the translation.